I've decided to stop breeding Dutch Shepherds and am offering them for sale in breeding pairs. Kansas and Tasha are out standing quality and have produced 3 awesome litters of medium to high drive puppies suitable for any job given. Tasha is registered with CKC, but the Kansas isn't! I am offering Kansas and Tasha as a breeding pair for $1200.00 Feel free to contact Scott for any questions about them. Please Contact SCOTT at 580-665-1434 before using the Buy Now Button on our website as we know the temperaments and personalities of our puppies and can guide you on which puppy to choose based on what you're looking for. BOTH parents and Grand parents are Dutch Shepherds and NOT a Malinois/Dutch Shepherd cross like a lot of the Dutch Shepherd puppies for sale on the Internet! Both Mom and Dad are very out-going and VERY protective of us. They both are very affectionate and have great prey/hunt drives! 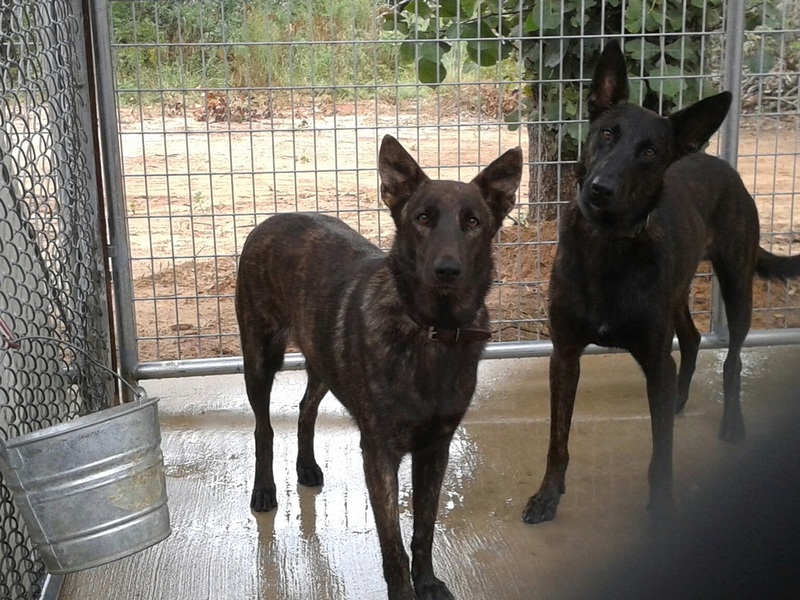 Tasha is a short hair Dutch Shepherd that weighs 50 pounds and stands 21" at the shoulders, she's very out going and has an awesome prey drive. Tasha is a first generation American born, her Dam was imported from Russia to have her litter in the USA and then shipped back to Russia where she is a working K9. 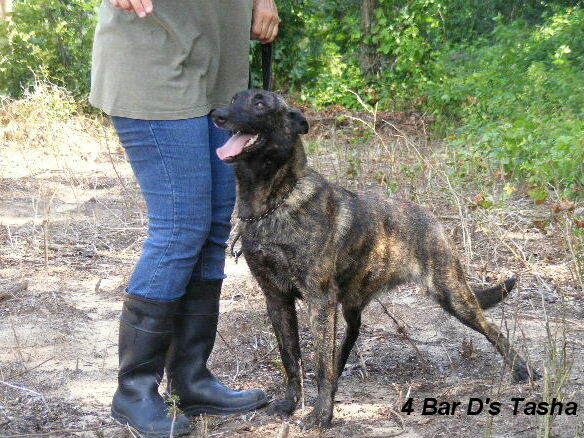 Kansas is also a short hair Dutch Shepherd weighing 70 pounds and standing 23" at the shoulders. Both Tasha and Kansas are out of Championship Russian working KNPV lines. We expect these puppies to have the same temperament as both parents and suitable to be used for any job they're given! Things that potential owners need to know about this breed are that Dutch Shepherds are loyal, reliable, alert, watchful, active, independent, intelligent, and intuitive. Obedience through modest specialized training and discipline can achieve remarkable results. Gifted with a true shepherding temperament, they work willingly together with their owners and can deal independently with any task they are assigned. They are neither aggressive nor shy. ​Check out our "Family Letters" on the website to learn more about us and see what our previous customers have had to say about us and our puppies. Call or Text Scott for more information 580-665-1434 any time. We can also be reached by email at 4bardkennels@gmail.com. We welcome folks to come out and visit with us and our dogs and puppies. Were located in Beautiful Central Oklahoma 62 miles southeast of Oklahoma City. Please call for an appointment. We also offer delivery to the Shawnee and Oklahoma City Areas on most, but not all Fridays, ask for details.